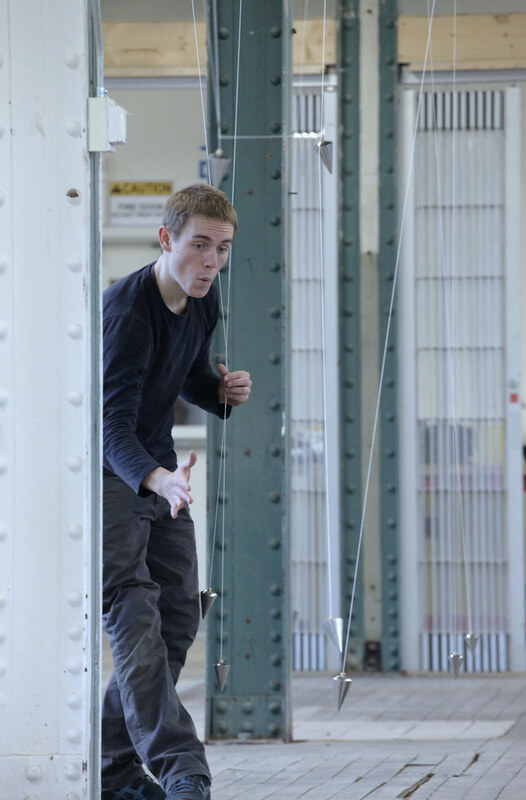 Brock Labrenz, Forsythe Dance Company, performs in Rand Hall, Cornell University. 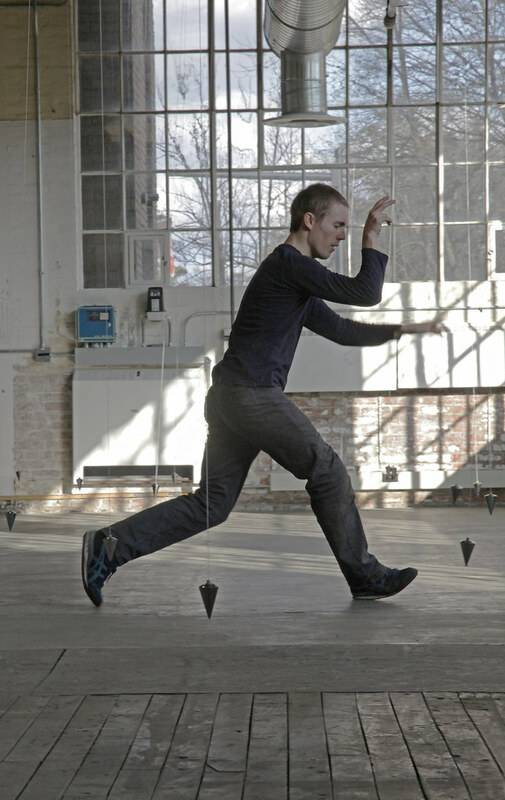 Brock Labrenz, Forsythe Dance Company, performs in Rand Hall, Cornell University. 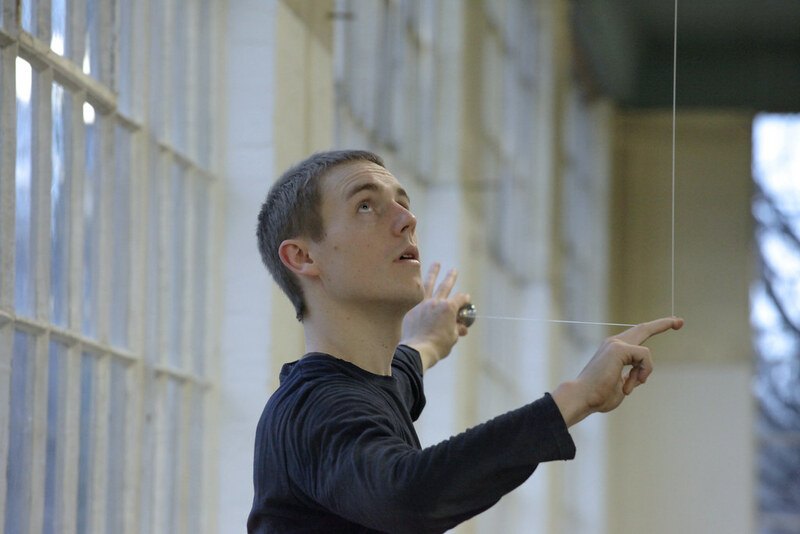 Brock Labrenz, Forsythe Dance Company, performs in Rand Hall, Cornell University. 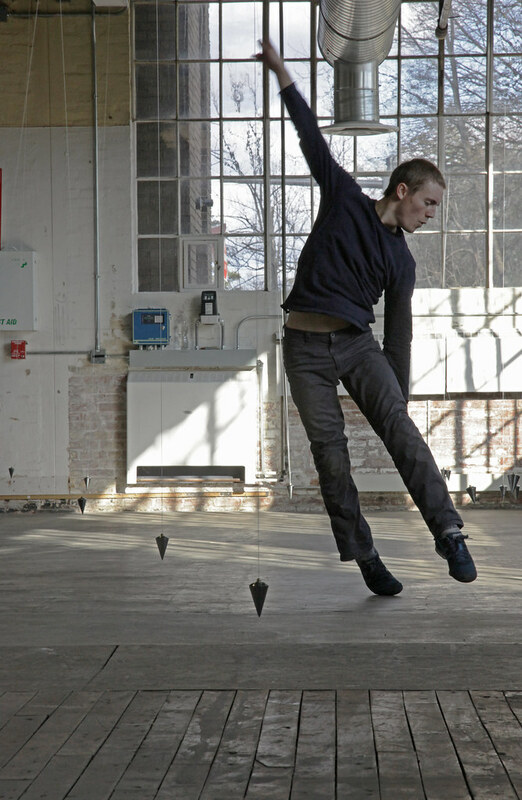 Brock Labrenz, Forsythe Dance Company, performs in Rand Hall, Cornell University. Brock Labrenz, Forsythe Dance Company, performs in Rand Hall, Cornell University. Brock Labrenz, Forsythe Dance Company, performs in Rand Hall, Cornell University. Brock Labrenz, Forsythe Dance Company, performs in Rand Hall, Cornell University. Brock Labrenz, Forsythe Dance Company, performs in Rand Hall, Cornell University. Brock Labrenz, Forsythe Dance Company, performs in Rand Hall, Cornell University. Brock Labrenz, Forsythe Dance Company, performs in Rand Hall, Cornell University. Brock Labrenz, Forsythe Dance Company, performs in Rand Hall, Cornell University. Brock Labrenz, Forsythe Dance Company, performs in Rand Hall, Cornell University. 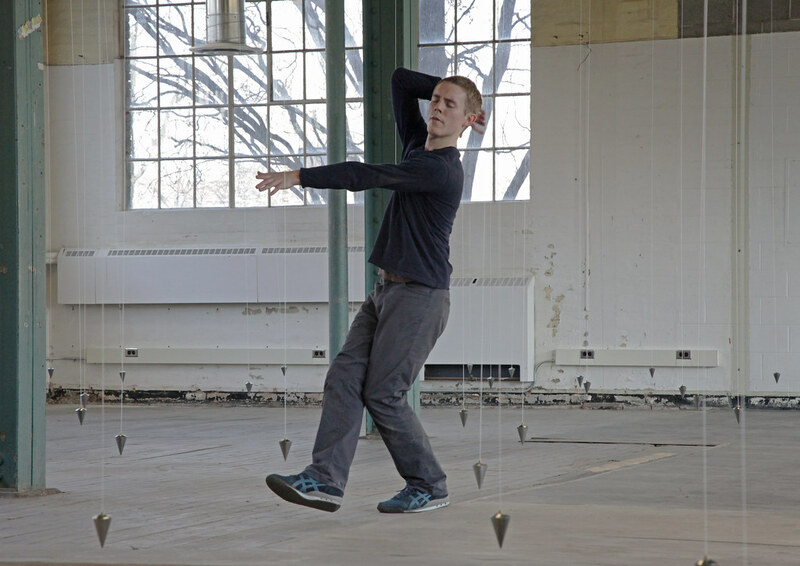 Brock Labrenz, Forsythe Dance Company, performs in Rand Hall, Cornell University. 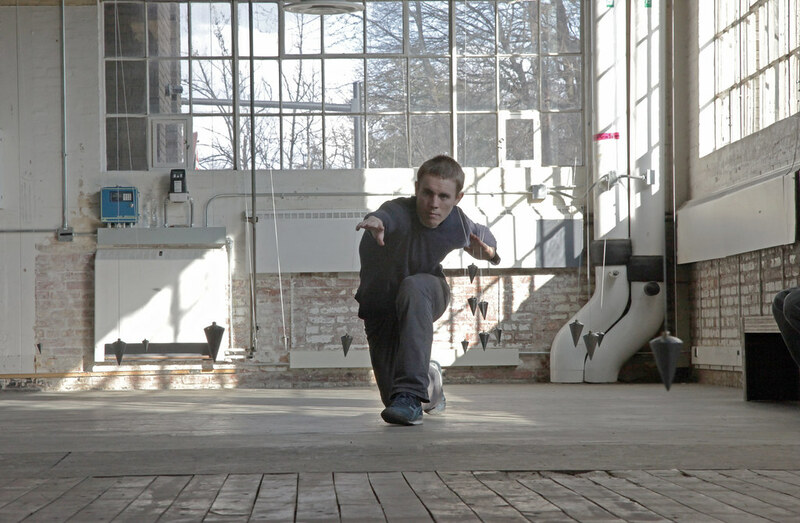 Brock Labrenz, Forsythe Dance Company, performs in Rand Hall, Cornell University. Brock Labrenz, Forsythe Dance Company, performs in Rand Hall, Cornell University. Brock Labrenz, Forsythe Dance Company, performs in Rand Hall, Cornell University. Brock Labrenz, Forsythe Dance Company, performs in Rand Hall, Cornell University. Brock Labrenz, Forsythe Dance Company, performs in Rand Hall, Cornell University. 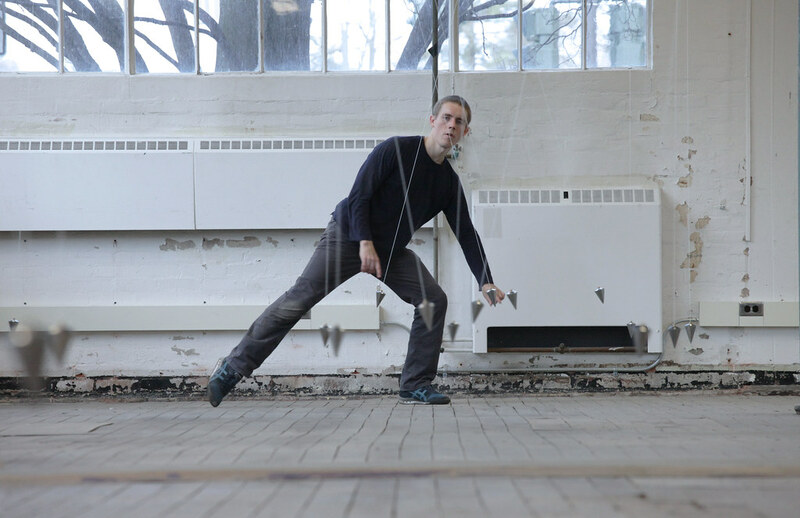 Groundbreaking choreographer William Forsythe visits Cornell as an A. D. White Professor-at-Large starting this week and will present a major choreographic work at AAP's Rand Hall. Students helping install the pendulums in Rand Hall. 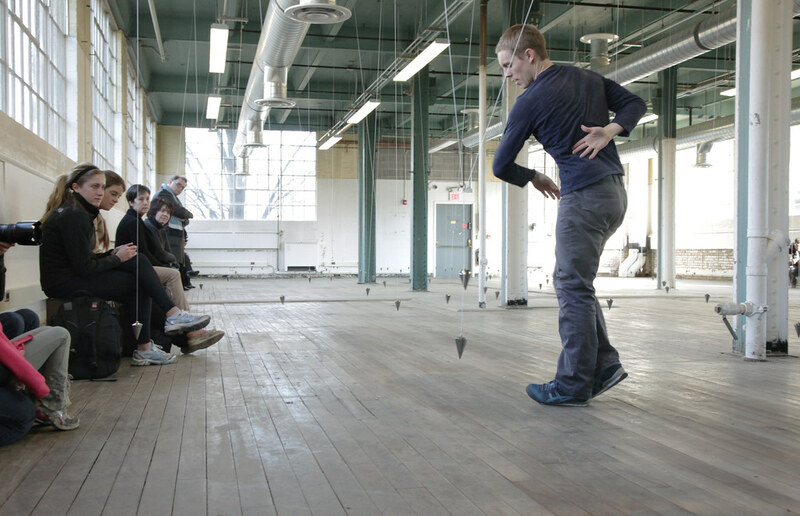 In only its second installation in the United States, Forsythe's Nowhere and Everywhere at the Same Time will be performed in the Rand Hall annex by Brock Labrenz of The Forsythe Company, March 3, 5, 7, and 8 from 3 to 7 p.m. Performances are free and open to the public. 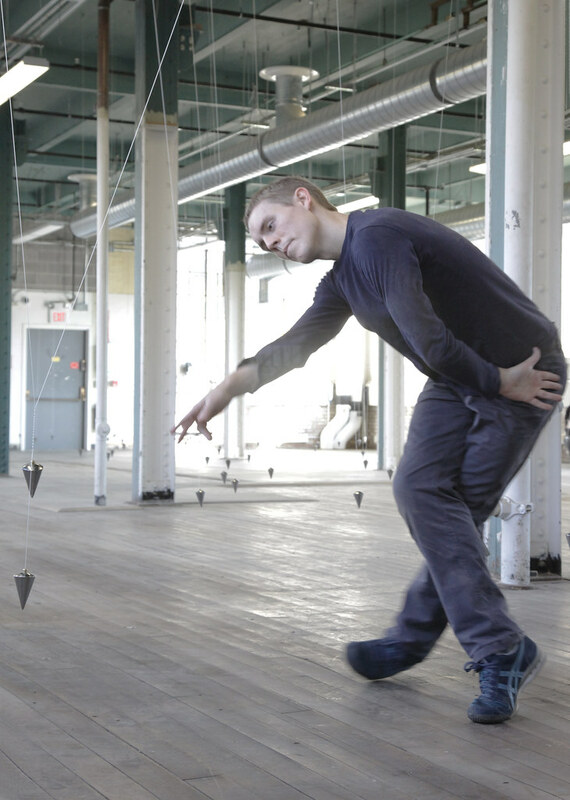 Forsythe will join theatre, film, and dance faculty members Byron Suber and Jumay Chu and alumni Ryan Platt '10 and Ashley Ferro-Murray '08 for a panel discussion, "Contemporary Encounters with William Forsythe," March 6 at 5 p.m. in the Schwartz Center's Class of '56 Dance Theatre. 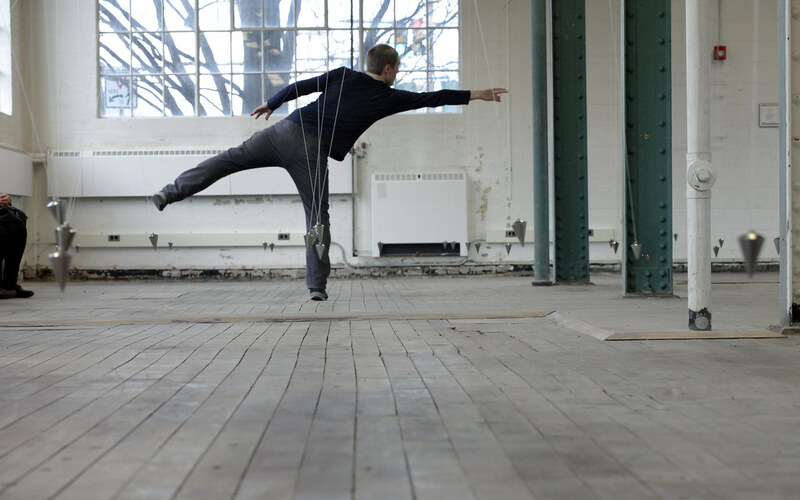 The choreographer also discusses his work and artistic practice, including the Cornell installation as a choreographic object, with Society for the Humanities Director Timothy Murray, March 10 at 3 p.m. in Milstein Hall. Labrenz will be in Rand Hall to demonstrate and interact via a two-way video feed. Spectators are welcome in Rand Hall. The choreographic object is Forsythe's strategy in combining dance and environment to imagine what physical thinking might look like. The title Nowhere and Everywhere at the Same Time comes from blind French resistance fighter Jacques Lusseyran's description of the internal mental space where he envisioned forms and ideas. The phrase can also refer to the field of gravity. 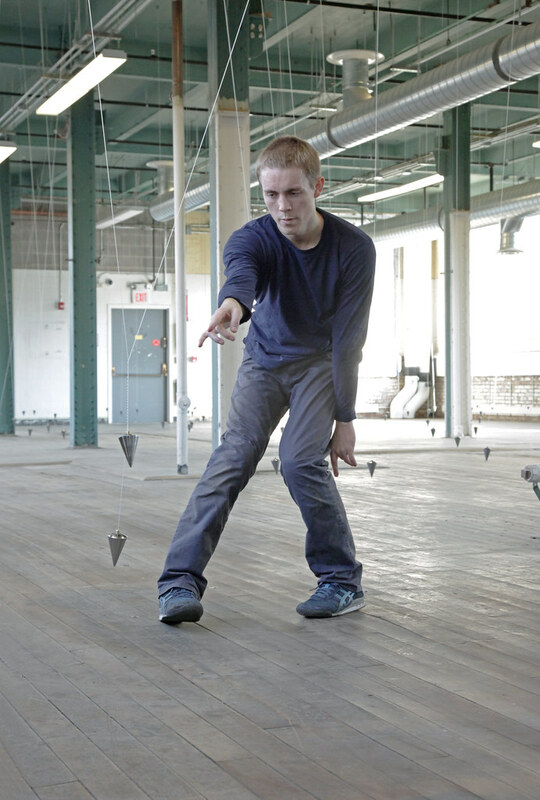 Forsythe explores the kinetic and metaphoric aspects of the title concept, with performers orienting themselves amid more than 150 hanging pendulums within a cavernous space. "This is an amazing opportunity for Cornell to celebrate Forsythe's incredible experimentations in choreography," Murray said. "This exciting and enchanting work elicits thoughtful emotion and emotive thought and will forever change how we understand and experience the mysteries of choreography." A group of about 30 students from across campus helped with the Rand Hall installation and will assist during the performances. "Hosting this installation has led to a wonderful collaboration between AAP students and their peers in the theatre, film, and dance and music departments," said Kent Kleinman, the Gale and Ira Drukier Dean of Architecture, Art and Planning. 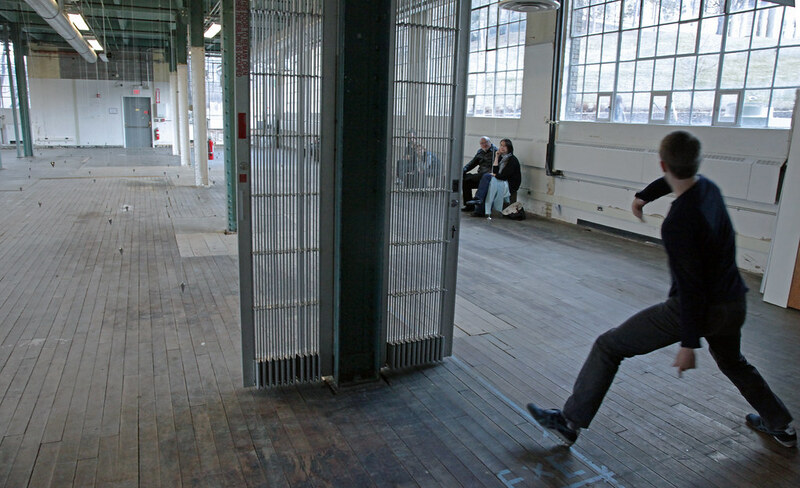 "The students, working with The Forsythe Company, have transformed the annex space in Rand Hall into the perfect setting for this incredible choreographic piece." 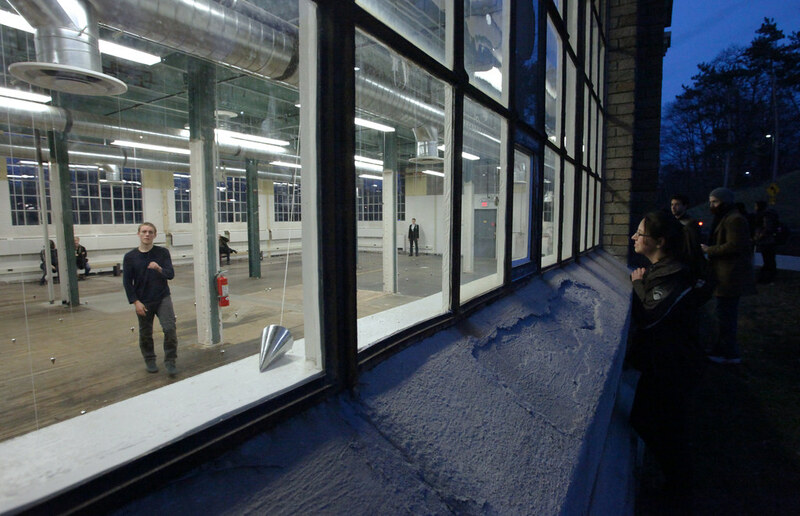 Visiting associate professor of architecture Mark Morris said: "The response from students has been exceptional. 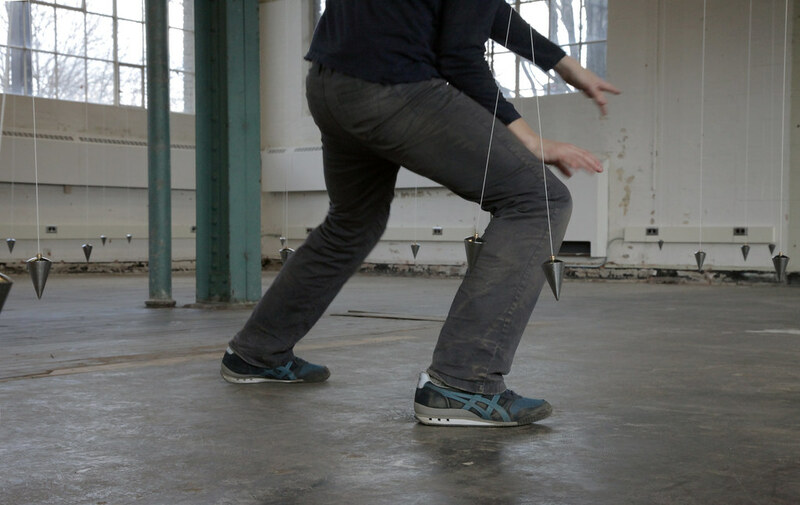 Some have volunteered to build special benches and viewing platforms, others have trained to be performance docents and another student group, Convivium, has organized a workshop and scholarly debate around the performative role of the body in architecture." 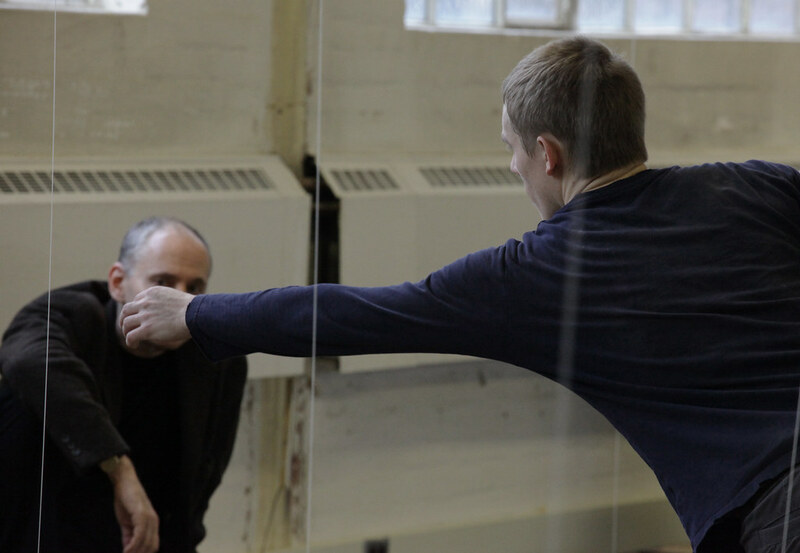 Forsythe is world-renowned for his imagination and ability to mix abstraction and narrative, with innovative work ranging from traditional ballet to experimental theater, multimedia, and architectural installations. His early dance works reoriented ballet from classical repertoire to a dynamic 21st-century art form. He directed the Frankfurt Ballet from 1984 to 2004 and founded The Forsythe Company in 2005. 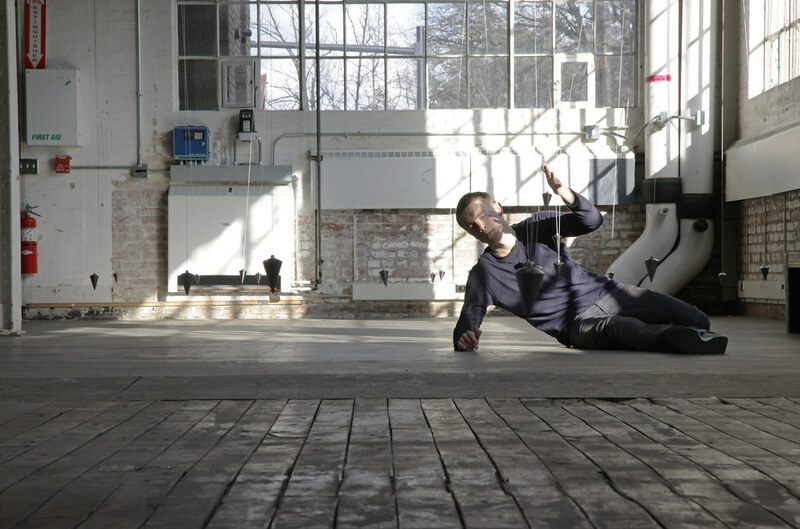 More recently he has explored the performative potentials of dance and choreography as a fundamental principle of organization. Forsythe's visit is sponsored by the A. D. White Professors-at-Large Program and cohosted by the Society for the Humanities and Department of Theatre, Film, and Dance. Nowhere and Everywhere at the Same Time is sponsored by AAP with the Society for the Humanities, A. D. White Professors-at-Large, and the Cornell Council for the Arts. Additional support came from the Department of Theatre, Film, and Dance; Institute for German Cultural Studies; the Rose Goldsen Lecture Series; and the Central New York Humanities Corridor. A. D. White Professors-at-Large, appointed to enliven the intellectual and cultural life of the university, come to campus while classes are in session at least twice during their six-year terms.